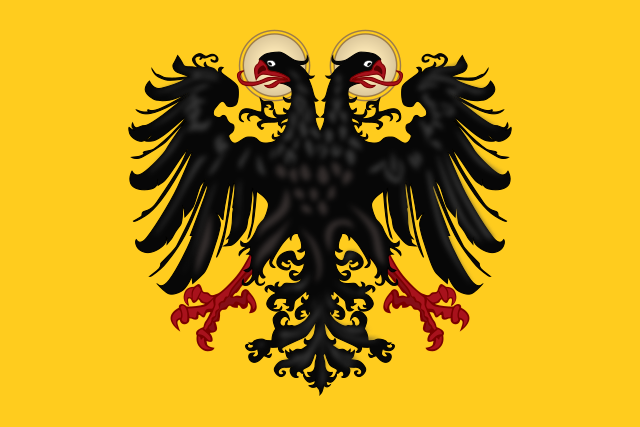 English: Banner of the Holy Roman Empire, double headed eagle with halos. тренутна 14:12, 11. јул 2013. 600 × 400 (106 kB) Tom-L A compromise between the two, with a few other touches. 22:34, 6. фебруар 2012. 600 × 400 (174 kB) Mozaika2 Reverted to version as of 11:49, 16 April 2010. Reason: Better quality. 22:34, 6. фебруар 2012. 600 × 400 (174 kB) Mozaika2 Reverted to version as of 11:49, 16 April 2010. Reason: Better qality.